Over 90% of all organisms that lived on the planet Earth are extinct and as new species evolve to take place of the ever changing ecological place, the older ones have faded away though the rate of extinction is not constant. In the last 500 million years around 50 to over 90 percent of the species on the Earth seemed to have disappeared with great speed. Although these mass extinctions seemed to be deadly events, they have given way to new life forms to emerge in the planet. Dinosaurs showed up after one of the biggest mass extinction events on Earth and the Permian-Triassic extinction around 250 million years back. The mass extinctions which were most studied between the Cretaceous and Paleogene period around 65 million years back, had killed off the dinosaurs making space for mammals to diversify and evolve rapidly. The reason of these mass extinctions event seemed unsolved though the prime suspects for the cause of these mass extinctions events are volcanic eruptions and the impacts of large asteroid or comets in several cases.Both are the cause of ejecting tons of debris in the atmosphere, darkening of the skies for at least a month on end and deprived of sunlight, plants and plant eating creatures would definitely die quickly. Moreover the space rocks together with volcanoes could also be responsible in giving out toxic and heat trapping gases which once the dust got settled would enable runaway global warming. The most closely linked to the Cretaceous extinction event is an extra-terrestrial impact where a huge crater off Mexico’s Yucatan Peninsula dated about 65 million years back had coincided with the extinction and global warming which could have been fuelled by volcanic eruptions at the Deccan Flats in India could have aggravated the event. Whatever could be the reason, dinosaurs together with about half of the species on the planet were extinct. Regarding the Triassic-Jurassic extinction, massive floods of lava came from the central Atlantic magmatic province around 200 million years back where around 20% of the marine families were extinct together with most mammal like creature as well as other large amphibians and non-dinosaur archosaurs. The impact of the asteroid could be another possibility of the extinction and the tell-tale crater is yet to be identified. About 250 million years ago, the deadliest of the lot was the Permian-Triassic extinction where over 90% of all the species suffered. Several scientists were of the opinion that an asteroid or a comet could have triggered the massive die-off, where again no existence of a crater was found. Another possibility was the flood volcanism from the Siberian Traps which is a large igneous province in Russia and the impact triggered volcanism. 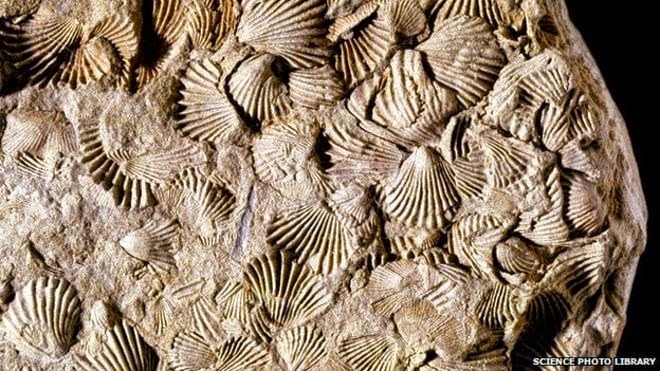 About 440 million years back, the Ordovician-Silurian extinction involved huge glaciations which locked much of the world’s water as ice causing a drop in sea levels which took its hardest toll on marine organisms like shelled brachiopods, eel-like conodonts as well as the trilobites. Presently scientists are of the opinion that the evidences are heading for a sixth mass extinctions and the blame for it, probably the fastest in Earth’s history, lies on humans. By 2100, human activities like pollution, clearance of land together with overfishing could drive more than half of the world’s marine as well as land species towards extinction.